A little while ago I mentioned that I’d be discussing the various options for hanging prints of your own photographs at home and today’s post aims to give you some ideas of how to go about this. I should point out that, far from being an exhaustive discussion of every possible option, I’m actually only going to discuss one option in detail, although I do mention some others. The reason for pushing one particular option is that I feel it serves a dual purpose. For those who just want a low cost, low effort way of displaying their work – one that doesn’t have to last for years – this may be a simple way to achieve an elegant result. For those wanting to move a bit further into the art of framing, this same process acts as the very basis for that option. Before I dive into this I’m making an assumption: You’ve already got a printed image, either from your own printer or from a high street or online company, and that it is an inkjet image. 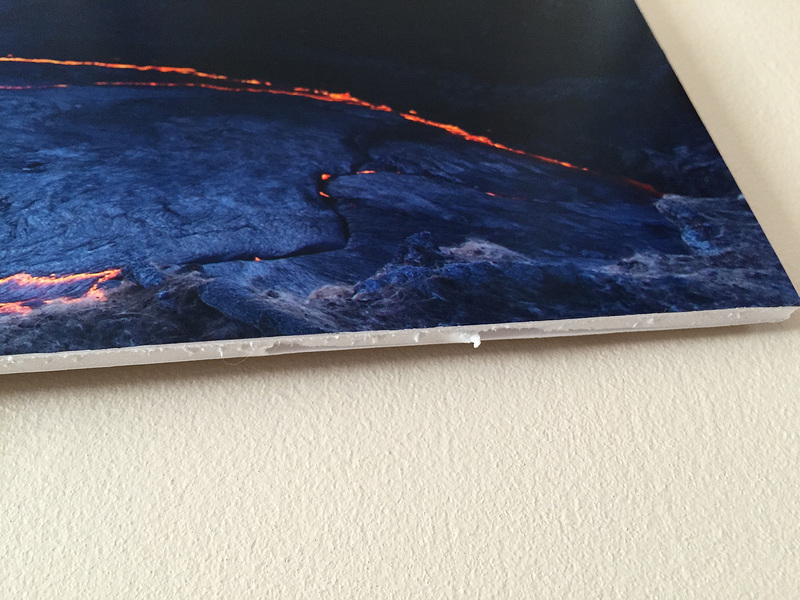 The fact that it has been printed on an inkjet printer will be important when considering certain display options although after talking to a few professional framers I’m becoming convinced that some of these “old-school” techniques for mounting a photograph to a rigid surface are becoming less relevant. In many ways this is good for the home framer as those techniques involve expensive and bulky equipment. You don’t need many tools – you may even already have most of what’s needed. Speaking of equipment you are going to need some although thankfully it is not only cheap, but you may already have some it. A cutting board, needed to protect whatever surface you’re working on. A very sharp craft knife, such as an X-Acto. A clean straight edge for cutting, longer than the longest edge of your image. A roller of some kind to flatten the photograph against the mat board or foam board. As with everything there is some terminology to try and remember, simply because you’ll have to buy some supplies and asking a shop assistant for the right thing usually helps. Backing board – the rear board (usually 2mm hardboard) that sandwiches all the parts of a framed image in place. Not needed unless you’re framing the image. Mount board – the flat and rigid board that the image rests on, typically mat board or foam board. All images will need to be mounted in some way. 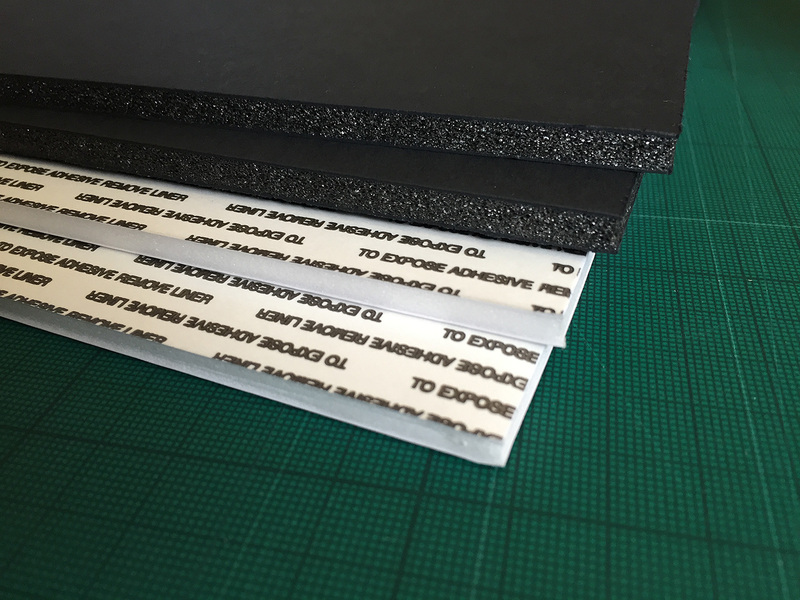 Mat board – A piece or card or cotton fibre board usually 1.4mm thick. There are several grades available depending on how expensive/important the artwork is. Mat – Mat board with a window cut out that surrounds the image and provides visual separation from the surrounding wall and keeps the front glass from touching the image. Foam board – a lightweight board with a dense foam core coated in paper. Usually comes in white or black. Also called foamcore. Moulding – the material that makes up the frame itself – usually wood or metal. Before I talk about materials there is one option to discuss: The pre-made frame. The theory behind pre-made frames is pretty straightforward – give you a professional finish but at a fraction of the cost of a bespoke frame. There’s a big pre-made market too and searching an online retailer such as Amazon shows an almost overwhelming choice, but I do have a couple of issues with pre-made frames because, if you’re going to the trouble of actually putting a frame around your image, you may as well do it properly. For me a frame should achieve three basic aims: Support, protect and compliment. Support is a fairly easy job and really entails keeping the artwork flat and rigid – if you’re hanging the image on a living room wall you’re going to want to avoid curling corners or the image sagging under its own weight. Protection covers three elements: protection from the environment such as dust, tiny airborne droplets of everyday household liquids such as cooking oil and furniture cleaner and protection from the frame itself. And finally, the frame should complement the artwork, not detract or otherwise stand out. The problem I have with pre-made frames is they often fail to achieve at least one of these three goals. Most of them allow the glass (or these days more likely acrylic) to come into direct contact with the artwork which for inkjet images is a pretty bad idea. Not only can it cause the photograph to smudge but try changing the image in the future and you’ll find that part of it has stuck to the glass/acrylic due to trapped moisture in the inkjet print and the air itself. The way to avoid this is to use a separator between the glass and the image, usually a white card frame with a hole in the middle called a mat, but that then means either finding a pre-made frame with a mat that just happens to be cut to the right size for your image (otherwise we’ll fail the ‘compliment’ requirement), or getting a local or online framing company to cut a mat for you adding more expense to what was meant to be a low-cost option and simple option! So, unless you’re very lucky – or simply don’t care – the pre-made option isn’t really an option. The most basic element of framing is that of support – keeping the image flat and rigid. Luckily there are a number of ways to do this and you can achieve excellent results with very little cost as it simply entails sticking your image to a board of some kind – a process usually called mounting. There are two common choices for the mount board. Mat board is a paper or cotton sheet, usually about 1.4mm thick. 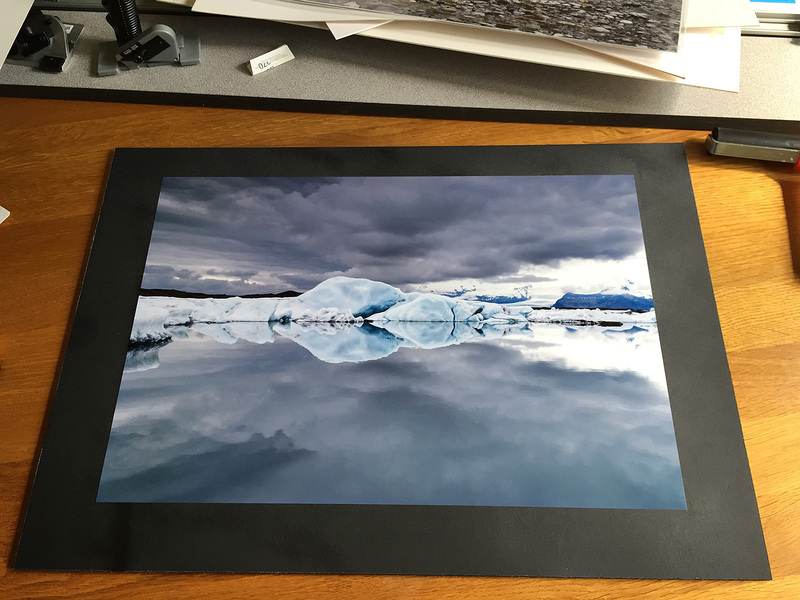 If you’re considering framing then you’ll have to buy mat board anyway because, as the name suggests, it is used to create the mat that separates the image from the glass. 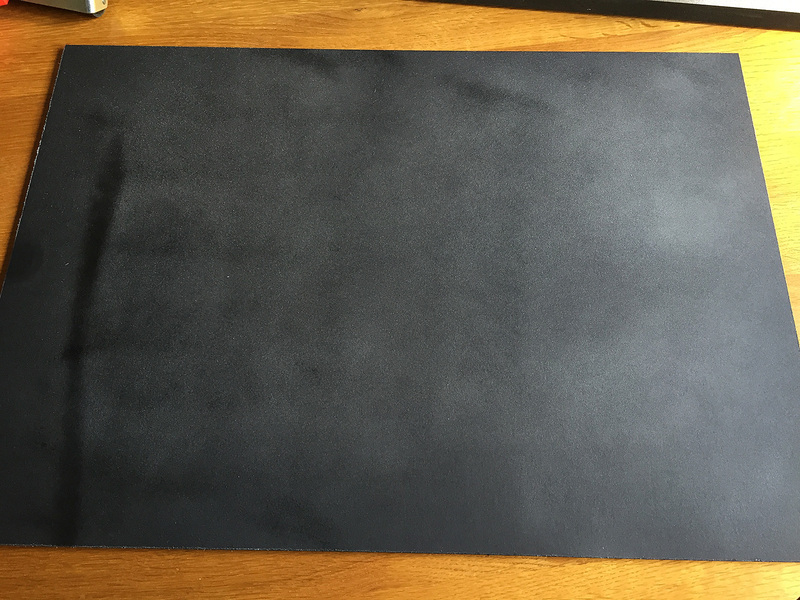 There are several types of mat board available such as museum, archival, conservation and standard and I’ll look at these in a future article but in essence if you’re looking to keep the image in top condition for a few years, a low acidity mat board is required. There is a huge range of different colours for mat board – remember that framing is not meant to detract from the artwork and so the mat has to compliment the colours of the image. If you hate having too many options then choosing foam board is wonderful: Black or white. 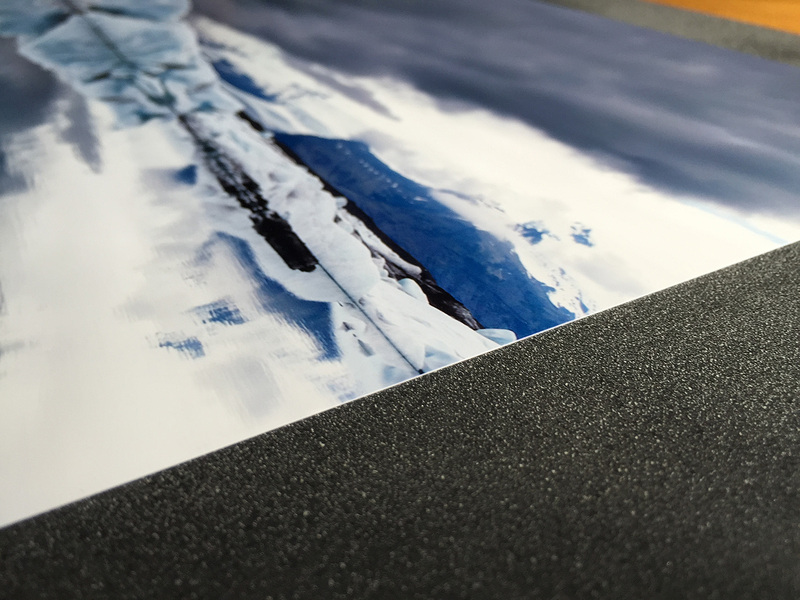 Foam board and Foamex for our purposes achieve the same goal and differ only in whether you can print directly onto their surface and whether they are for indoor or outdoor use. Usual thicknesses are 3mm, 5mm and 10mm. Again, for long-term display, low acidity board is better. As foam board is not designed to be seen colour options as much more limited and usually come down to black or white. To Frame or Not To Frame? If the ultimate goal is to display your work in a frame then there isn’t an awful of difference between the two mounting options – mat board and foam board will achieve the same goal unless you’re getting very creative with mounting and looking at something like float mounting. I’m going to be looking at framing – and float mounting – in a future article but for today we’re trying to keep things as simple as possible. The alternative is to simply not frame at all. The most common form of unframed art display is the canvas and these days you’d be hard pushed to find a hotel or trendy bar that doesn’t have art canvases on the wall. It’s a popular choice for the home environment too being hard-wearing and cheap compared to the professionally framed option. But, home-made canvasses are definitely not easy to get right. 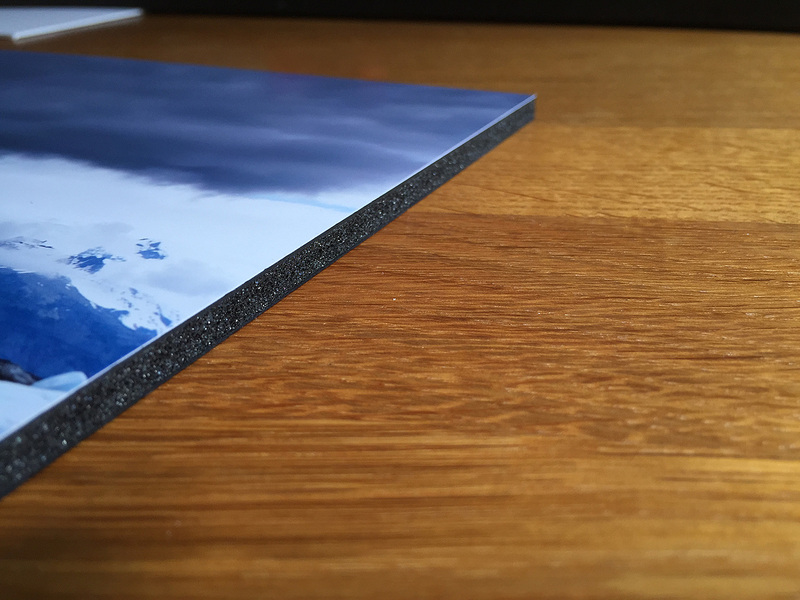 Another option would be to display the image simply mounted on foam board, making use of the thickness of the foam board to provide a visual separation from the surrounding wall. It won’t work for everyone as one of the uses of a mat is to separate the image from the distracting ‘noise’ of the wall and so if the wall is patterned (for example wallpaper) then this approach won’t give very good results. But as naked as the final product is, it has a contemporary feel and some exhibitions use this approach. The other advantage is that it is simple and inexpensive, great if the artwork is to be changed frequently or likely to get damaged (children’s bedrooms, for example). Buying foam board isn’t a difficult process. It is common enough that most hobby and craft stores carry it as a stock item and as mentioned earlier, colour choice is limited to white or black. 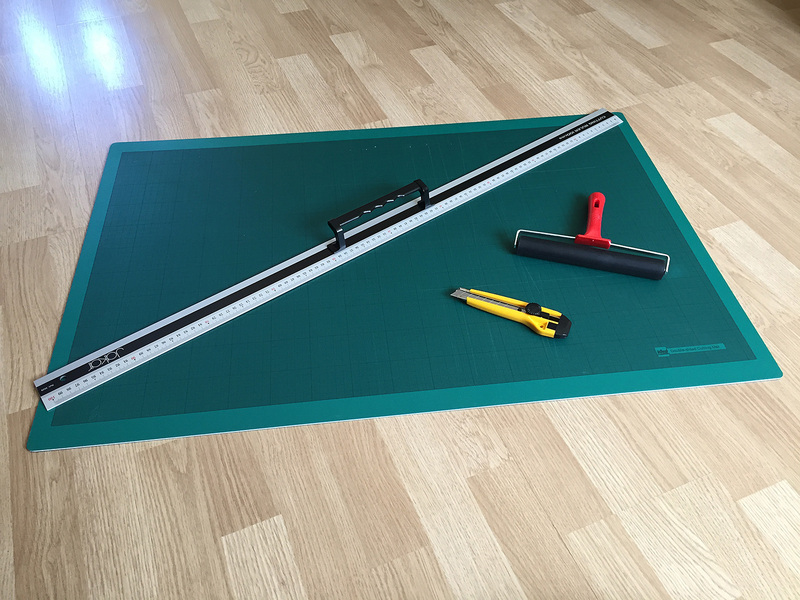 I bought foam board off Amazon simply because I was buying in bulk and the cost savings were significant – half the price of buying in the local craft store – but even in store an A2 size foam board was approximately £4.50. The other thing you’ll need is some means of attaching the image to the foam board. The most common way to do this is using spray adhesive – again a common item in craft stores, although you can also get self-adhesive sheets of foam board. About all you need to get your image ready for display is the foam board and some glue – both easily found in a craft supply store. 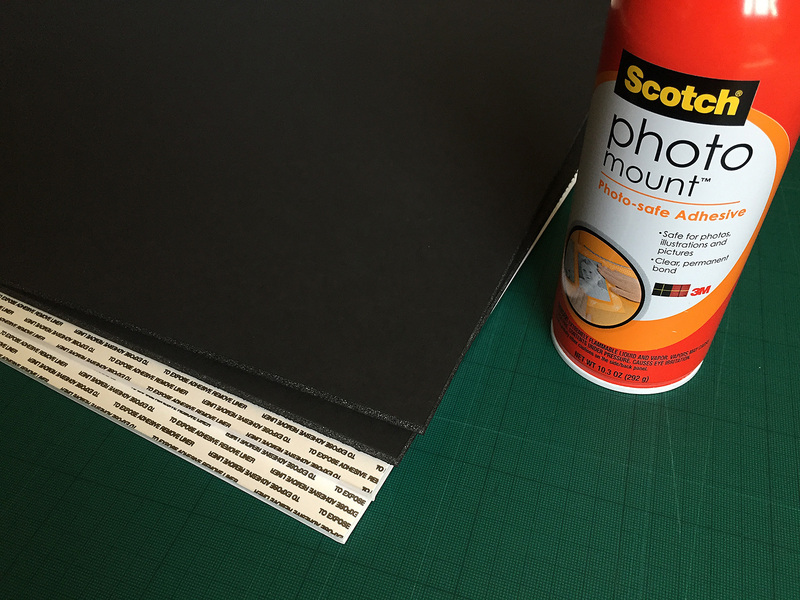 Now I’m going to assume that the next step really needs no detailed instructions – you have a photograph, a board and some glue and you really would have to try exceptionally hard to get it wrong, but there are a couple of tips worth mentioning. First, unless you have stunning hard/eye co-ordination, cut the foam board to be larger than the photograph and that way you won’t have to worry about perfectly aligning the image. Once the glue has dried we’ll trim it with the X-Acto knife. The other tip is to lay the image starting at one end and slowly lowering it much as you would when applying a screen protector to a phone. This way you’ll reduce the risk of air bubbles. Spray adhesive usually requires a couple of minutes to become tacky. 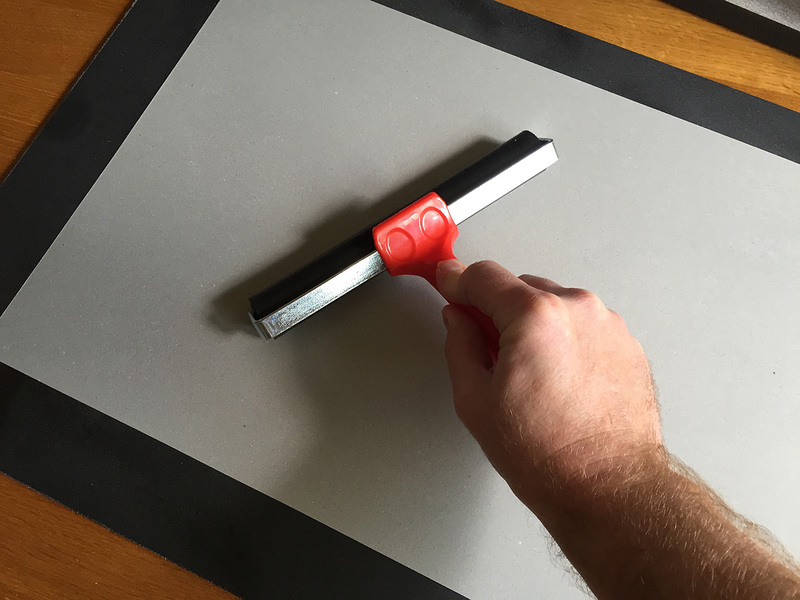 Cover the image with a protective sheet and the use a roller to press the image to the glued surface. Check the photograph is firmly attached to the board. I covered the whole board in adhesive just to make sure. As exciting as the whole process is, leave the adhesive to dry before attempting to trim the foam board to size. I’d suggest leaving the glue for a few hours to dry before trimming the image. When trimming make sure that the blade is VERY sharp; cutting foam board with anything less will likely cause it to ‘bobble’ and as the foam board is now acting as the separator between wall and artwork it really has to look right. It won’t matter how good the image is – all you will see is the shabby cutting. One of the things to bear in mind with mounting in this way is that the result is quite fragile; the foam board is delicate and banging the edge will likely result in it being dented. It can be passed around to people or left on a coffee table, but its best use would be for display on a table top easel or placing on a wall. 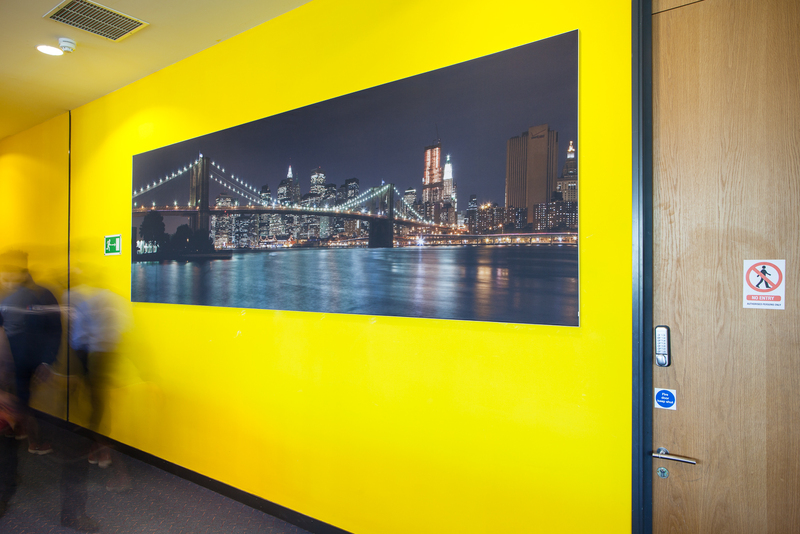 One of the benefits however is that the final product is really lightweight and so you can make use of a simple wall mounting option such as the 3M Command picture hanging strips – inexpensive velcro pads – so no need to make holes in the wall. 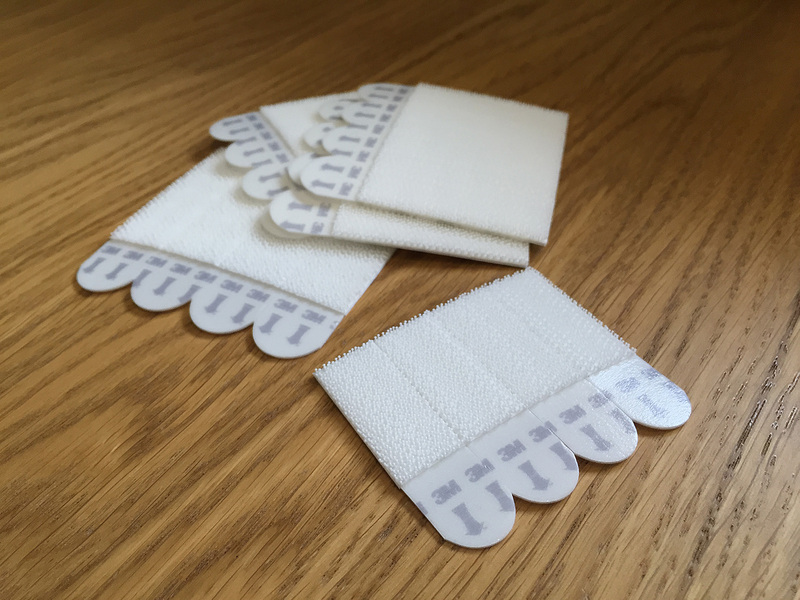 For lightweight work the 3M Commander strips should do a perfect job. So, how does it look? For an inexpensive contemporary feel I’m very happy with the result, especially as it is very easy to change the image whenever I want. Like songs, everyone has a favourite photograph – one that has the power to lift the spirits when we are feeling down. 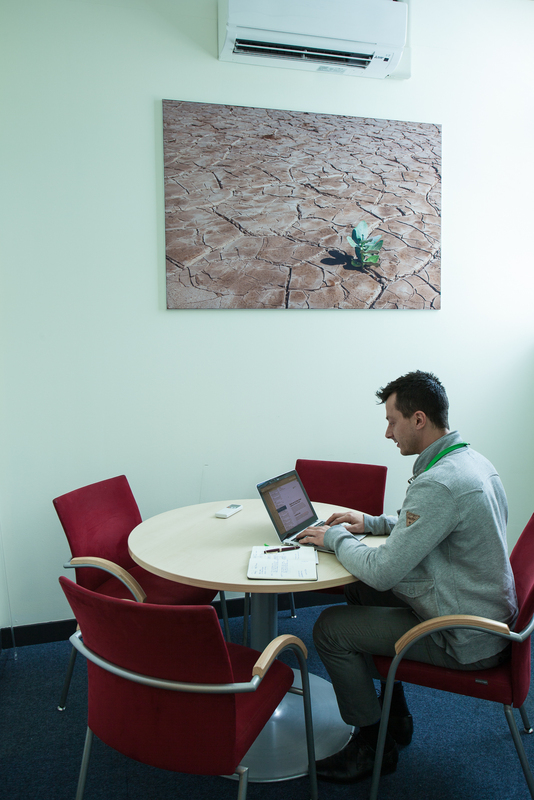 So why not get these images out in the open and on your walls? Hopefully today’s article will convince you that doing so needn’t be an expensive, difficult or messy process. 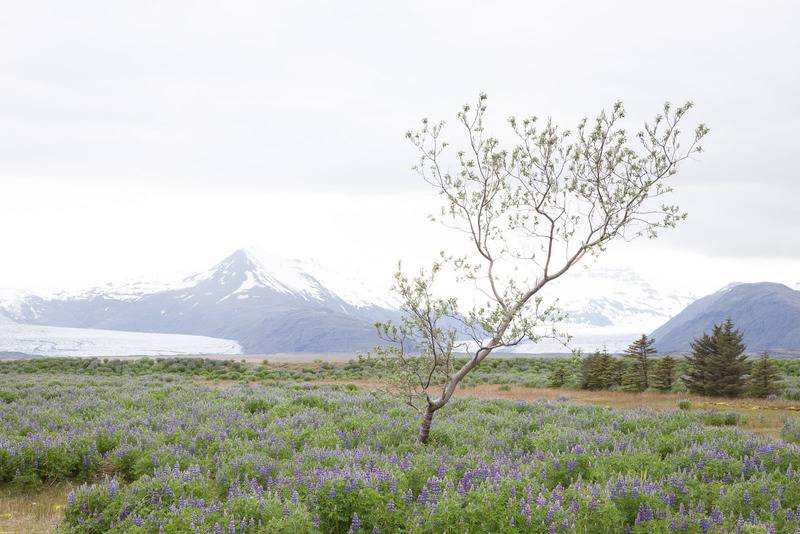 For a couple of reasons my mind has been thinking of Iceland lately and so it was only going to be a matter of time before I found myself looking at the photographs I took there last year. Rather than look at the ones I’ve already selected for the final gallery, or the ones that made it to first and second pick, I decided to go all the way back to the original ones, which is not an easy task considering that there are 3,500 of them. But I’ve often found it useful to look at images that didn’t make the cut in the hope that eventually I’ll learn to stop making those mistakes. So I was happy to find this lurking in the pile of photographs that didn’t make even first pick. Ask around about what to see when in Iceland and I’ll guarantee that Jokulsarlon will be on the shortlist. Jokulsarlon is probably the most easily accessible glacial lake (Jokulsarlon translates as ‘glacial river lagoon’) that you can see and if you’re driving along the main road, route 1, then you cannot miss it as you literally have to drive over it, or at least the bridge that crosses its narrowest point. You can even take day trips from Reykjavik by coach, although it is a four hour journey. 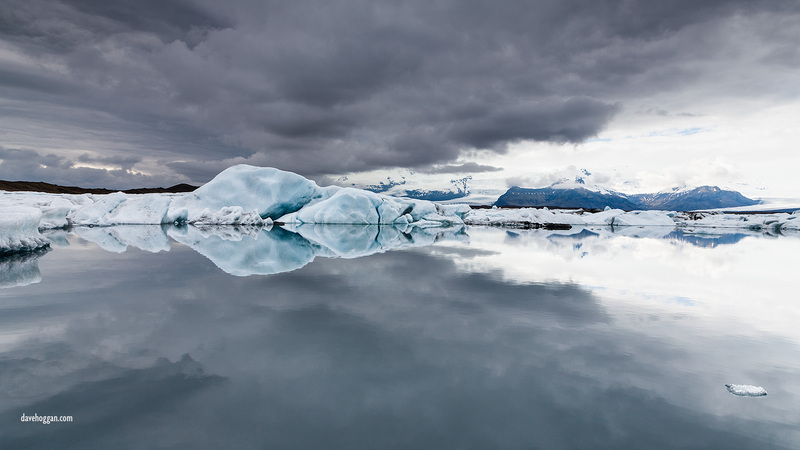 One of the reasons that Jokulsarlon is so popular is that the lake is full of an ever-changing collection of icebergs calving off the Breidamerkurjokull outlet glacier which gather in the lake before the tide inexorably draws them out to sea. 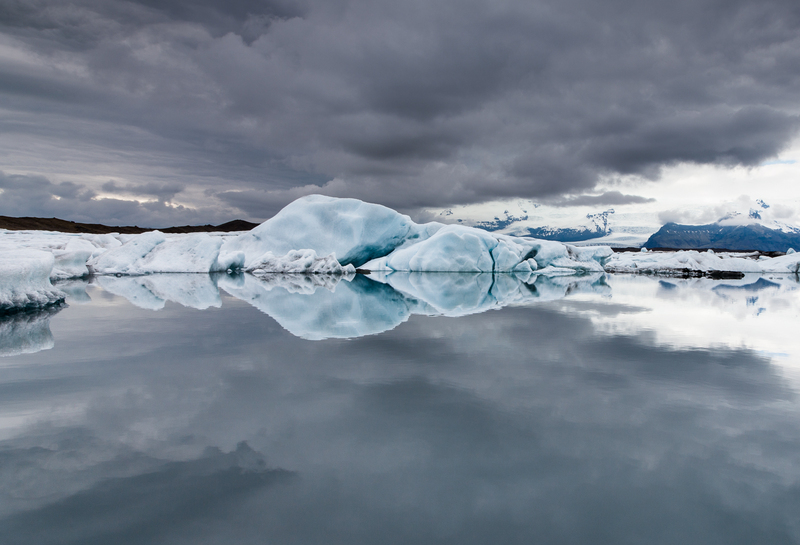 If you’ve never seen an iceberg up close before you’re in for a treat and the combination of ice and volcanic ash found in Iceland is especially striking. And, if you can, I do recommend that you find a quiet spot along the lake’s edge away from the crowds, close your eyes and listen to the sound of hundred- and thousand-ton lumps of ice melting, shifting and cracking. But if you have been to a polar extremity – northern Canada, Alaska, the far south of South America, the southern tip of New Zealand – where icebergs easily compete with apartment buildings in terms of size – the icebergs of Jokulsarlon seem, well, tame by comparison. 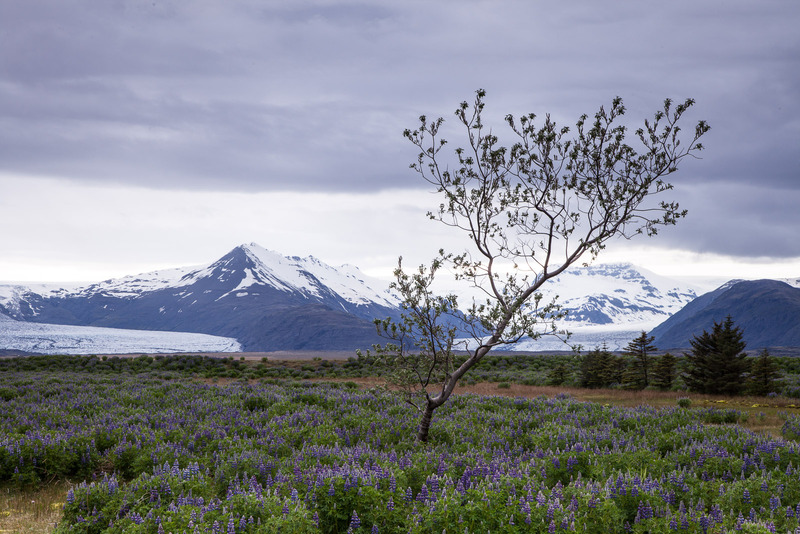 I think that that is why, in my first and second pick of the Iceland photographs, none of the ones I took of the glacial lake made the cut. I didn’t see the beauty of the image, I saw the comparison to something ‘better’. So, I’m glad I took the time to revisit images that I had already discounted as “not quite there” and it is a good reminder for me to take my own advice of performing a six-month (or in this case an eleven-month) review of images taken on a trip once the passage of time has dampened the excitement of the experience. 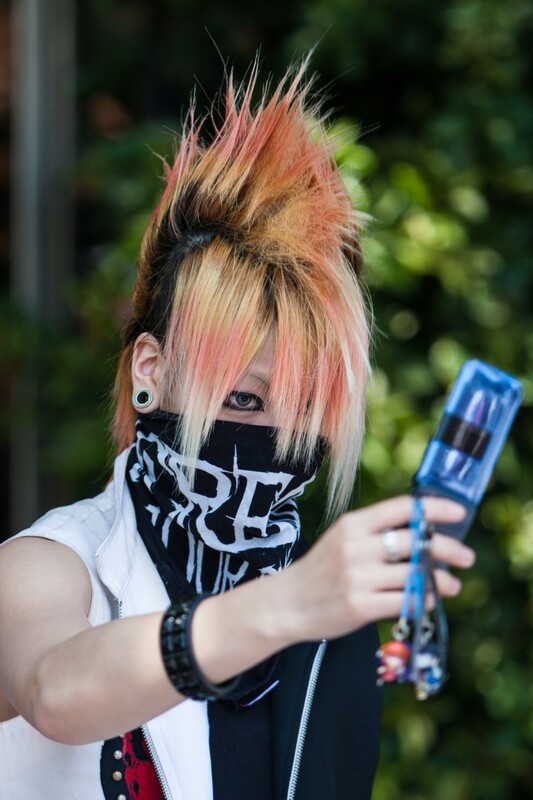 Then you can be more objective about the images in their own right. And that would have been the end of the story had it not been for an unrelated task I have this weekend. One of the guys in the office had asked for a copy of one of my Ethiopia images to use as a wallpaper on his PC and so I’ve been looking at that. And at some point the “I wonder what this image would look like as a wallpaper?” question popped into my head. Whilst the majority of interest lies from the left of the image to the centre the wider crop allows for the right hand side to be included and a lone floating lump of ice. In the ‘print’ crop I’ve excluded it as I wanted to strengthen the mirror effect of the water’s surface, but in the ‘wallpaper’ crop I’ve included it as a bit of foreground interest and I like the fact that it is aligned along the diagonal line in the water formed by the cloud’s reflection. It’s an important diagonal line too, leading from the edge of the frame right to the focal point of the image. In the print crop, the diagonal is still there, but shorter and with less impact – less visual weight. I guess there are two points I’m making, perhaps more to myself than anyone else. First, I shouldn’t dismiss an image simply as I have seen something more impressive – each image should be judged on its own merits. Second, the final crop has a big effect upon overall feel of the image and when pressing the shutter I need to ask myself “What is this image for?” Print? PC display? Instagram? After all, it’s easier to recompose, move if necessary, and take another shot whilst on location than it is to spend time in post production trying to get all the elements in a different crop. In the last post I started a mini-series of articles about home printing hoping to prove that whether you make your living from photography, have a passion for it, or simply want to capture life’s important moments, it needn’t cost the Earth to display your work. 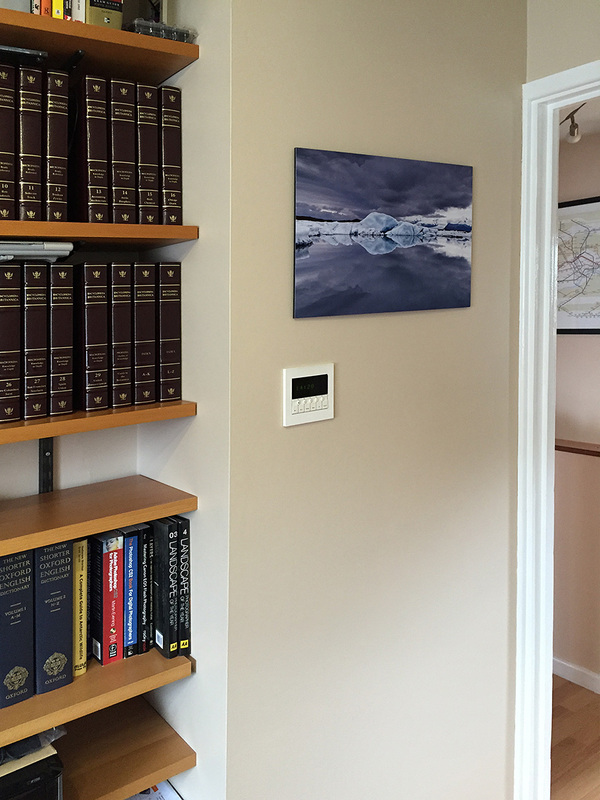 For most of us the photographs we will print will not be large – the average home usually has few big walls and they usually have windows in them – and so most people will be looking at anything up to A2 in size. But there is no denying that, if you do “go large” then the impact can be dramatic. This fact hit me, almost literally, earlier this week when I walked into the office and the walls – which were up until recently just plain painted surfaces – had been transformed. At a whopping 3.8 metres this is the feature piece along the longest wall and, given the size, a multi-shot panoramic image was going to be the only thing that would have enough resolution to be printed at this size. When I was told how big the canvas would be, I did have reservations as to the final quality however I needn’t have worried – the 11,500 by 3,800 pixel panorama scales very well. 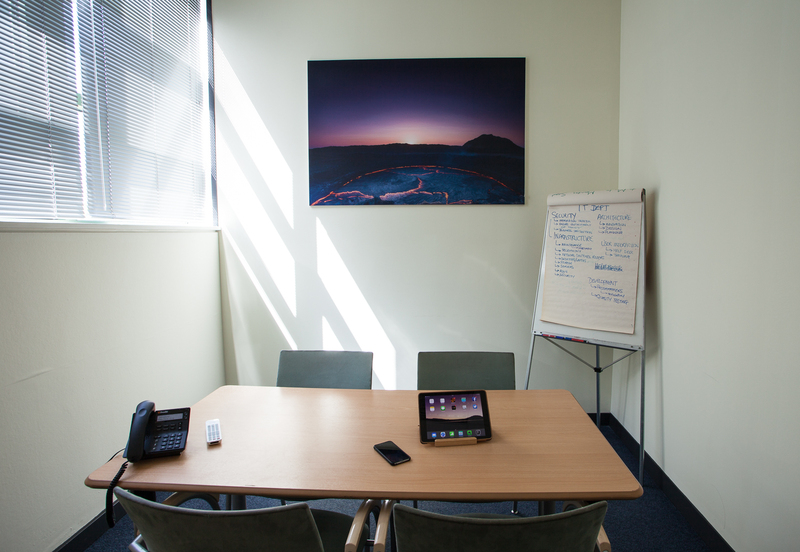 The smaller meeting rooms are basic affairs; we spend most of our time out with customers and so having lavishly appointed meeting rooms would be a bit of a waste when the rooms do not need to impress, but merely need to be functional. Still having a large canvas on the wall adds a splash of colour and interest to an otherwise cold-looking room. The 21 megapixel Canon 5D Mk2 provided more than enough resolution for the 150cm by 100cm canvases. People often get hung up on the number of megapixels and I’ve often seen this is a driving reason to upgrade the camera; after all, surely 20MP is better than 10MP? Whilst a larger pixel count, if implemented correctly, can mean higher definition images, that should not mean that that old 10.1MP camera is ready for the scrap heap. 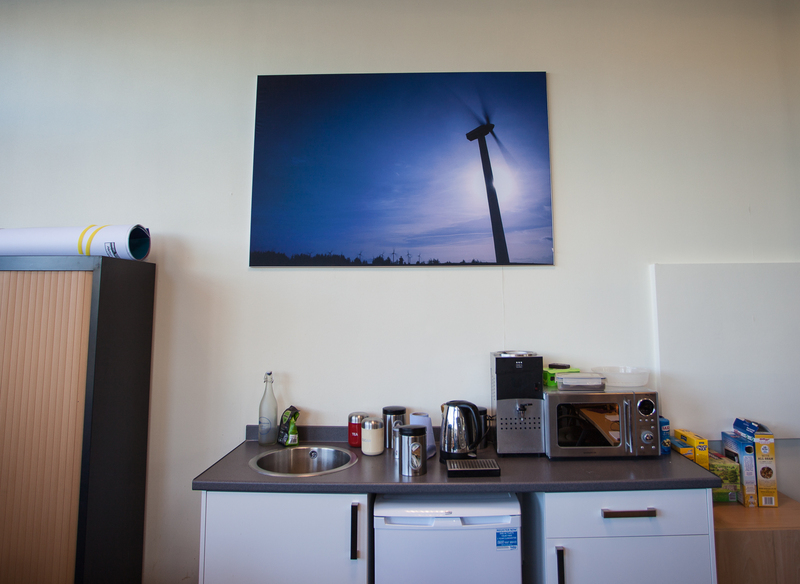 Here’s an image from the 10.1MP Canon 40D on the same 150cm by 100cm canvas. It is almost tempting to suggest that, if you’re thinking of heading out on a one-time trip of a lifetime and want to have a backup camera without a large investment, pick up one of these older camera bodies on eBay for a shadow of their original cost. The last post had me enthusing about printing photographs, be they from a DSLR or a smart phone. The post was less about photography and more about keeping memories alive. It was also aimed at those people who are not particularly interested in photography – the most “at risk” group I believe – as photographers already understand the need to print, although perhaps for other reasons. But interested in photography or not, whether amateur or professional, one thing is certain when we decide to print one of our photographs to hang on the wall: The cost of professional framing will take your breath away. In the past I have simply taken my photographs to the picture framers at the craft centre at the end of my road – Neil was not the quickest, but the work was exactly as requested with a price that was nowhere near as high as other firms in the area. But Neil is no longer in business and so I have had to look around at my options. My first choice was to use Loxley Colour, a very reputable firm here in the UK. But, whilst the price is, if not cheap, at least palatable, the frame was delivered with one of the mitre joints poorly joined and a small crease in the photograph. They have been very good and had a courier pick it up so they could make up a new one but that’s been an additional two weeks delay. In any case, the one thing that bugs me about their framing is that they insist on using acrylic instead of glass. Of course, this is perhaps my fault. When I first started having my work framed a few years ago the initial frames came with normal picture glass which, aside from giving a subtle green tinge to images, is horribly reflective in the presence of spot light sources such as the sun, a table lamp or overhead lighting. I spoke to Neil and he recommended Schott Mirogard Waterwhite anti-reflective glass. It is not cheap but the results are fantastic and I have been a convert ever since. So looking at the acrylic used by Loxley Colour really leaves me, at best, underwhelmed. 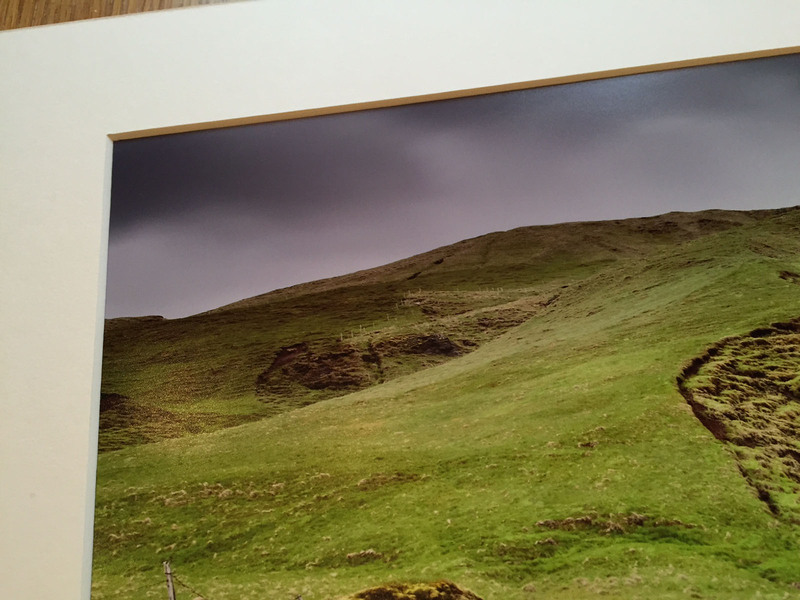 I started with the question: How hard can it be to take a photograph and put it in a frame? I’d need a frame obviously. And glass. Perhaps a nice border around the photograph. I’d also need something to keep the photograph flat and rigid. Finally some bits to attach it to a wall. But other than that I really couldn’t think what else was needed. As it turns out, that is pretty much it. It was an encouraging start but I have to be realistic. I am not known for my hand-eye coordination and anything that involves cutting, drilling or precision measurement in general leaves me in a cold sweat. Given that most ready-made frames are horrid things – and probably wouldn’t be available in the sizes I would need – I would have to make my own. Mirogard glass is specialist and usually sold by the sheet so would need cutting too. And those professional looking card surrounds with the lovely angled edges as in the image below will also require careful cutting. In other words, despite the concept of framing being quite straightforward, the actual process was going to be very tricky. But, undaunted I did some more research – including watching lots of useful videos on YouTube – and there are several options available to people like me that make home framing a realistic possibility. In fact I am so confident that it can be done at home that I have taken the plunge and invested in my first piece of kit. Over the next couple of months I’ll be discussing everything needed to turn a raw photograph printed on an inkjet printer at home into a complete, framed product ready to hang on a wall. This is not going to be a series of “how to” articles – as a beginner myself I am simply not qualified to write them and, honestly, YouTube really has some good stuff – but what I hope to convey is that home framing is not merely a fantasy but instead is very possible. After all if, like me, the old adage of “measure thrice, cut once” simply means you end up with three different measurements, then seeing the results produced by someone with no previous experience may be just the encouragement you need. There haven’t been many updates of late on the site simply because there hasn’t been much happening on the photographic front. But, as October draws to a close, that is about to change. There have been changes, of course. The most obvious is that the web site has undergone a facelift and now sports a full page showcase gallery. I’ve long since wanted that but until the recent release of Photocrati – the plugin I use to set up and maintain the galleries – it simply wasn’t possible. The second is that I’ve finally sorted out the veiledworld.com domain name. I have owned the domain name for some time now, but hadn’t got around to setting up the mechanism that allows people to type the name into their browser and get to my web site. But, there have been struggles. Actually, it would be more accurate to say that I’ve been having the same struggle that I’ve had for a couple of years now. When I first stared in photography I’d photograph anything that moved and then lament that fact that none of the photographs were any good. Over the years I’ve slowed down and become less ‘snap-happy’. I research a lot more, watch the scene a lot more and wait for the right moment a lot more. More than once I’ve even turned up at a site, watched the scene unfold before me and then leave a few hours later without raising the camera once, simply because I didn’t feel “it”. Whatever “it” is. I’ve also drifted from architectural photography to landscape photography despite the insanely early mornings this can mean. But as I have become more confident in my handling of a location and as I have become more sure of the field of photography that interests me what was a nagging, but ill-defined, disquiet has also become clearer and in the past month, I have finally come to understand one thing: My photography will not improve until I stop taking photographs. OK, that probably need some explanation! One of the photographers I follow on Twitter has been running an on-going series of posts about notable photographers, both past and present. In each post he recommends some books to highlight their work and, with a bit of spare money from sales on eBay, I decided to buy a few books. And, aside from some stunning images one fact was so obvious that I have no idea why I never thought of it: None of the photographers took just landscapes, or just portraits, or just wildlife. They specialised in one specific aspect of their chosen field. Mitch Dobrowner specialises in storm weather in the American Mid-West; Nick Brandt in endangered species in East Africa; Edward Burtynsky in how industry changes the natural world. And because of their specialisation they have built up an impressive body of work. And now I understand this, I can see why I’ll never improve beyond where I am: I have no focus. Luckily for me, I have two possible options that of interest, both of which are fairly narrow in scope and – relatively speaking – not many photographers follow. My next trip should help clarify for me the path I will take although right now it just doesn’t feel right to have a self-imposed restriction. But, the other thing I’ve learnt over the years, aside from patience, is that I’m not always right! Holiday season is upon us once again and it’s time to capture some of those memories for sharing with friends and family. But, as good as camera phones are becoming, there comes a point where you realise that, no matter how many editing features they offer, the images they take are not matching up to the ones in the advertising brochures that likely enticed you to the holiday destination in the first place. So, how do you take photographs like the pros? With photography, creativity usually crops up twice. The first time is when framing the shot – the decision as to what to include, what to remove, what depth-of-field and the like. The second time is in the creative control of the available light and even a pro relies on one thing: good light. Without good light, even the most experienced photographer will struggle to produce a good image. So, to the point of this article: A couple of easy tricks to control light and make photographs a bit more interesting – and certainly a bit more like the ones in the brochure. After travelling along the southern coast of Iceland for a couple of weeks in a variety of weather conditions shooting landscapes, I came to rely on one piece of equipment so much so that I would consider it an essential item. In many, many cases it turned a ‘reject’ into a ‘keeper’ and turned a ‘ho-hum’ into a ‘wow’. What is this magical piece of equipment? Why, it is the humble filter. The clue as to the purpose of a filter is really in the name: To filter. In the case of photography there is only one commodity that can be filtered and that is the light entering through the lens and, perhaps obviously, a filter can only modify or remove light, never add. But, as light is the fundamental component in photography, why would we actively seek to reduce it? If you’re new to photography a simple analogy is probably going to make the rest of this article easier. From the technical perspective, a good photograph usually starts with getting just the right amount of light into the camera and onto the camera sensor, a process resulting in what is usually (but perhaps not accurately) called “a correct exposure”. Too much light and the result is that ‘washed out’ look (over exposure) and too little light results in that ‘taken at night’ look (under exposure). It’s like filling a bucket with water; too much and it overflows, too little and there’s not enough to go around. You have to fill the bucket to the brim, no more and no less. Plenty of web sites out there use the bucket analogy to discuss exposure in a far better way than I can here, so I’m not going reinvent the wheel. Suffice it to say that there are three, inter-dependent, settings that you can use to control how this bucket is filled and which one you use depends upon the creative look you are after – shutter speed, aperture and ISO (film) speed. Again many articles exist that discuss these, and I may one day write my own. But sometimes, you need some additional help to realise your creative vision. For me, it was the neutral density filter. It means that it takes longer to fill the bucket – a longer exposure time. It reduces the amount of light in the bucket for a given exposure time. An offshoot of the ND filter – and one far more frequently used – is the ND graduated filter, or ND Grad. It is basically an ND filter that only limits the light on part of the filter. Little bits of plastic – here the ND and the ND Grad filters – can make a world of difference to the ‘look’ of the photograph. 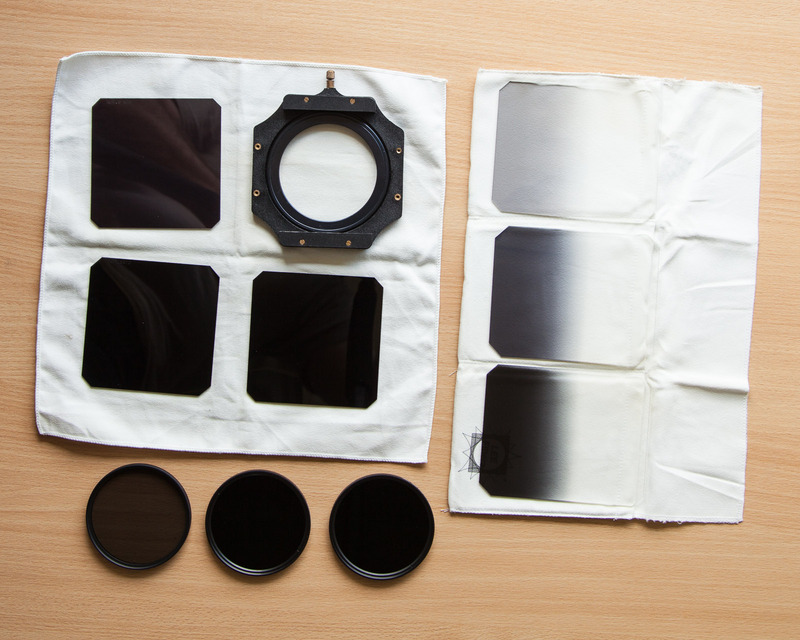 On the left we have the ND filters. It may be difficult to tell but each of the three square and round ones are different levels of opaqueness – the more opaque, the longer the exposure time – the most extreme limited the light passing though to a one thousandth of the original light. On the right we have some rectangular ND Grads, again each limiting the amount of light arriving on the part of the camera sensor. 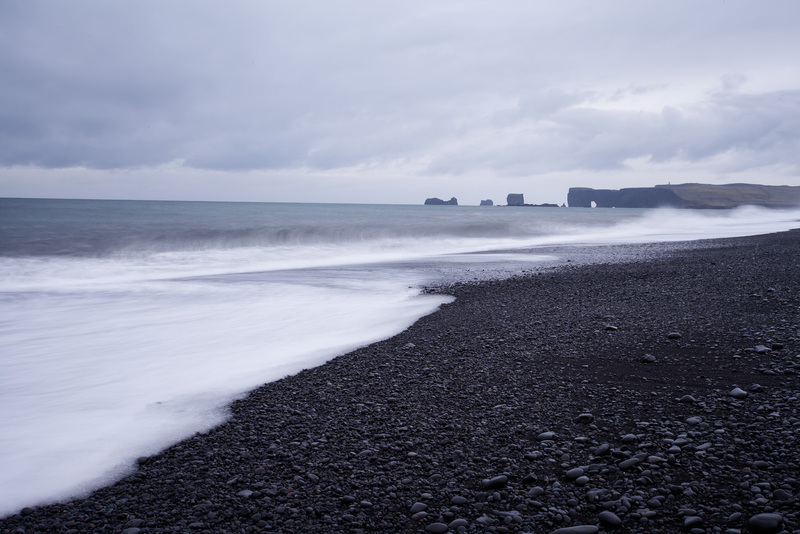 It’s a beach shot with a nice, black volcanic beach and the Atlantic Ocean. 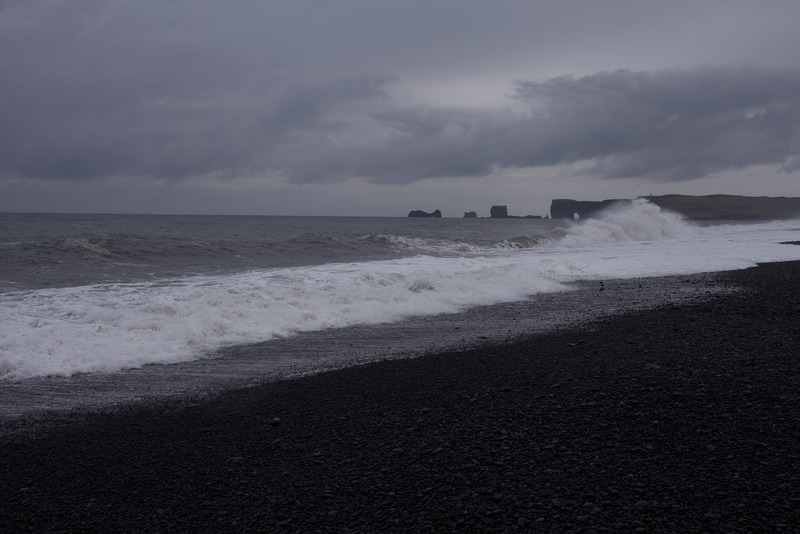 What I wanted to show was not the detail of the waves crashing against the shore, but the contrast of white sea against the black beach and, unfortunately, try as I might, I could not make the exposure time long enough to turn the sea into a white cotton wool coating. The slowest I could achieve was 1/45secs which, as you can see, kind of works, but there’s still too much details in the waves. If only I could limit the amount of light entering the camera so that I needed a longer exposure time to fill the bucket. This is much closer to the feel I was after, but notice that the exposure time is now a whole 3secs. For the majority of the two weeks I spent travelling along the coast it was overcast or raining, usually both. It was that kind of light-grey overcast that photographers hate as it invariably ends up as a white featureless sky when exposing correctly for the subject. If you expose for the sky to get some detail back, then the foreground usually ends up as a silhouette, and trying to expose for both just ends up with a flat-looking images. Here’s an example of the camera selecting the ‘correct’ exposure. As you can see, the sky is a featureless grey-white and the tops of the snow-capped mountains disappear into that whiteness. In addition, the glacial tongues are a blob of white with no detail. The rest of the shot, however, is reasonably exposed – not too dark nor light. If only I could reduce the light in the sky part of the shot, but keep the landscape unchanged. This is precisely the job of the ND grad. Already you can see the detail come back into the sky and the peaks of the mountains have become distinct from the sky. I’ve also been able to slow the shutter speed down a little bit, allowing more light into the exposure so the foreground is better illuminated. Here’s the final image after a bit of careful positioning of the filter, and a spot of clarity and saturation adjustment in Adobe Lightroom. For me it has the right level of detail in the clouds, the glacial tongues, the ridges of rocks in the sides of the mountains and the lupins. I’ve just completed the six-month edit of the photographs from my trip to Antarctica and uploaded the selected images. It has been an interesting process; when I first started in photography I used to select my favourites and uploaded as soon as possible. These days I go through a more measured process. It works well for me, so I though that I would share it. First I make the initial select pretty much on the spot as part of the end-of-day keywording. This selection usually forms the broad outline of the final selection and the obviously strong images get picked up here. Another selection gets made when I return home – the Lightroom catalogue from my travel laptop gets merged with the catalogue on my desktop PC and I then take the opportunity to run through the images on a 30″, calibrated, monitor. Mostly the in-the-field select survives this second critique more-or-less unscathed – after all not too much time has passed between the two. Sometimes I drop a shot or two out, sometime add a couple. After about two months comes the next select. It’s a good time to return to the work; enough time has passed that the memory is beginning to get hazy whilst still being able to remember enough of the context in which the shot was taken. I also take the chance to go through all the initially rejected shots as the distance of time allows me to be more impartial. The final select is about six months in. At this point I go through everything and apply the acid test: would I pay to print this? If yes, it makes the cut, if not it’s deselected. Total taken: approx 4400 shots. Initial field select: approx. 140 shots. Initial home select: approx. 180 shots. Two month select: approx 210 shots. Six month select: 99 shots.